Differentiation. We hear it all the time, we believe in it, but sometimes we have a hard time organizing it. As a teacher, I want to do anything and everything that I can to help my students succeed. I’ve just always struggled with how to differentiate assignments without making it obvious to the rest of my class... UNTIL NOW. 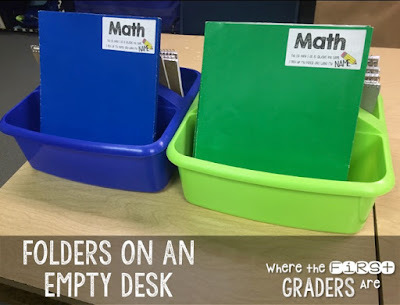 I started Guided Reading and Guided Math groups last year. (I know, I was behind the times). 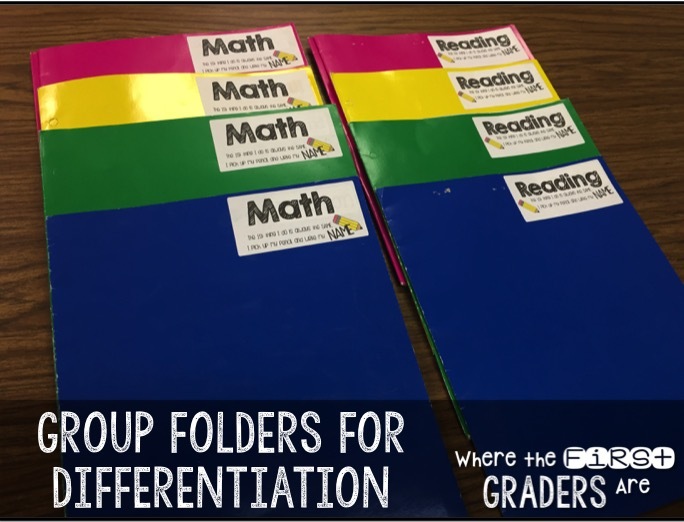 In an effort to cut down on time between rotations, I started using color coded “group” folders. (I use colors to identify my groups rather than numbers; ex. 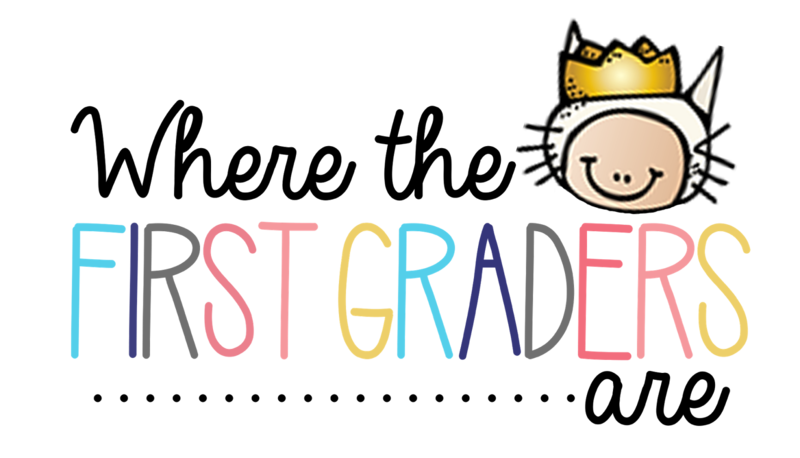 Pink group, blue group). 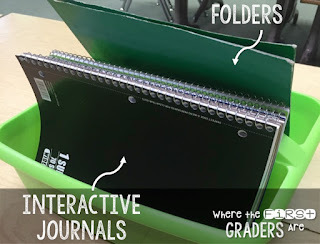 I would “pre-stuff” the folders the day before so that I would not have to pass out papers in between rotations. It also served a second, completely unintended purpose. 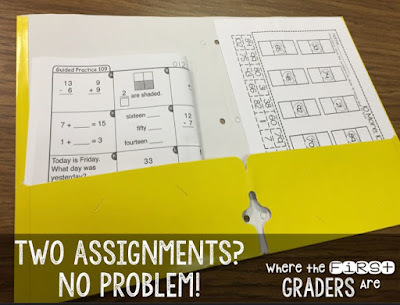 If I only had 19 of my 20 assignments turned in, I could look in the folders to see where the extra assignment was and it was much easier to determine who hadn’t completed it. Here’s the best part. When I need to differentiate work, I typically do it by group. Whether I am providing additional help or enriching assignments, everyone in that group has the same assignment. 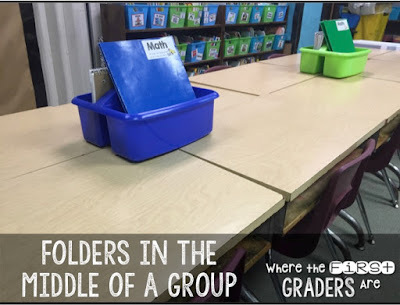 Because students ONLY see the work in their group folder, they do not notice that their work is any different than the other groups. If I had two paper assignments that day (a journal and an excel review sheet), I would put one on each side of the folder. I always made sure that students knew which assignment to start with. They also knew that when one assignment was turned in, they needed to retrieve the second assignment. I love this method because it kept the second assignment “out of sight, out of mind” until the student was ready for it. I know what you’re thinking, students will still notice. It may just be beginners luck, but I really haven’t experienced that problem. My guided reading/math groups sit at the same “table”. The entire group completes the same rotation at the same time. That means only one group (out of the four total groups) is actually at their desk completing that assignment at a time. The other groups are busy at stations or with the teacher, etc. I’ve tried this a few different ways. What's that behind the folders you asked?? Interactive Journals!! I just hate, hate, hate when journals get shoved in a student's desk and all of their hard work gets crumpled and torn and messed up. Our journals stay safe and sound and pretty in our caddy. 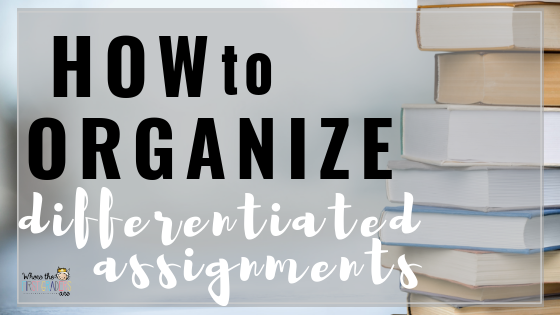 What are some ways you distribute differentiated assignments?